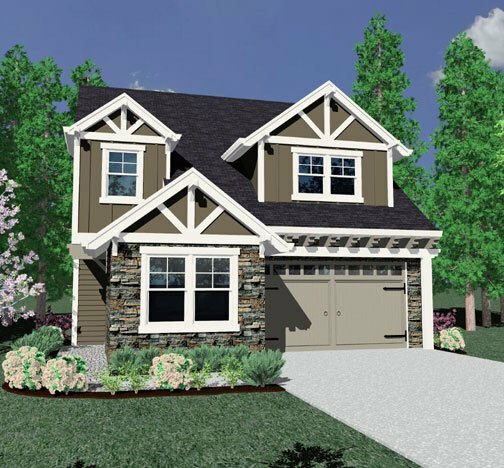 This beautiful “sized just right” house plan is perfect for a narrow lot for a family of four. There is a private home office that could also serve as a guest bedroom. 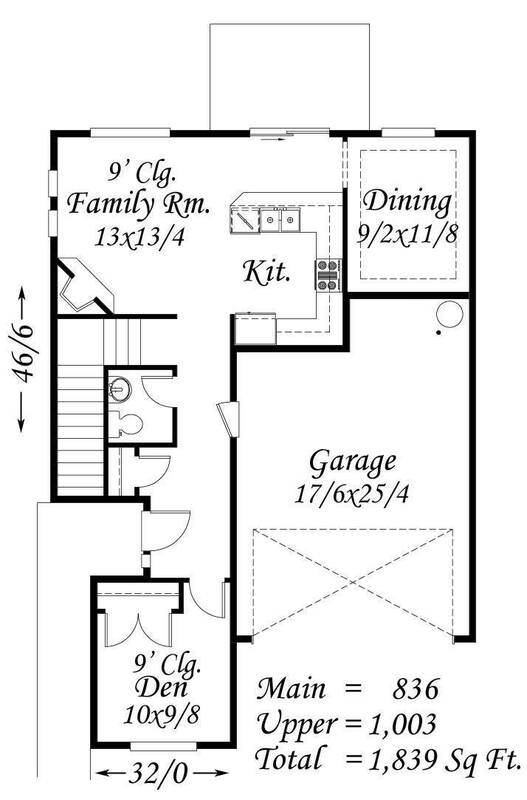 A large kitchen next to an open dining room and family room round out the main floor. 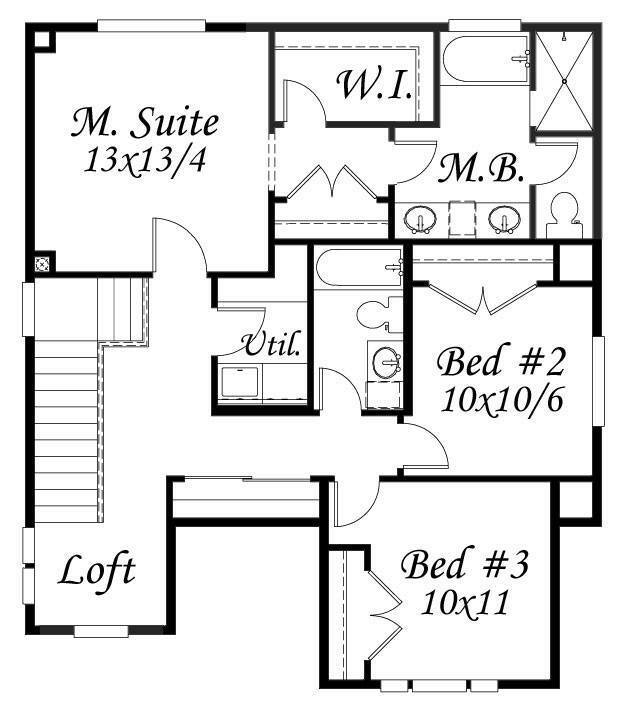 Upstairs are three large bedroom suites with a particularly opulent master suite. The strong timbered exterior gables lend a sense of permanence and timelessness to this smart plan.